According to a new study published in BMC Medicine, people who follow healthy diets that are rich in fruits, vegetables, and nuts may lower their risk of depression. For the study, researchers compared three dietary patterns—the Mediterranean diet, the Alternative Eating Index – 2010, and the Pro-Vegetarian Dietary Pattern. These dietary patterns have previously had contrary associations with mortality from various diseases, such as cancer and cardiovascular disease. Over 15,000 participants from the Seguimiento Universidad de Navarra Project study (SUN Project) were evaluated. The SUN Project started in 1999 and has been used by researchers to identify dietary and lifestyle factors that change the likelihood of various medical conditions. None of the participants suffered from depression at the beginning of the study. Researchers assessed their dietary intake with food frequency questionnaires completed at the start of the study and then again after 10 years. After the follow-up was conducted, 1,550 of the participants reported having used antidepressant drugs or receiving a clinical diagnosis of depression. Of the three diets being compared, the Alternative Healthy Eating Index – 2010 was linked with the greatest reduction in depression risk. The diet is associated with a high consumption of vegetables, fruits, whole-grain bread, nuts, and long-chain omega-3 and polyunsaturated fatty acids. Researchers concluded that although the Alternative Healthy Eating Index – 2010 was most beneficial, the other two diets were also associated with a reduced risk of depression. 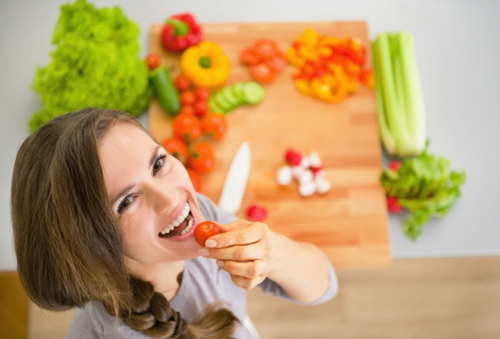 McIntosh, J., “Adhering to a healthy diet could reduce risk of depression,” Medical News Today web site, published September 17, 2015; http://www.medicalnewstoday.com/articles/299490.php. Almudena, S.V., et al., “A longitudinal analysis of diet quality scores and the risk of incident depression in the SUN Project,” BMC Medicine September 17, 2015, doi:10.1186/s12916-015-0428-y.